If we adopt a free for all, which includes the right to indulge in hate speech or a right to foment and incite hatred and violence, our beloved country will be torn apart in no time. MANY of us have heard of the infamous Pastor Terry Jones – the bewhiskered preacher from the diminutive Dove World Outreach Centre in Gainesville, Florida, in the United States who had threatened to hold “Inter­national Burn A Quran Day” on Sept 11. He subsequently backed down after worldwide condemnation against him. This included our Foreign Affairs Minister Datuk Anifah Aman, who called the act of burning the holy book of Muslims a “heinous crime”. US President Barack Obama warned that this could increase the recruitment of individuals who would be willing to blow themselves up in American or European cities, adding that it would be a recruitment bonanza for al-Qaeda. As a Christian, I am ashamed by what Jones tried to do, especially when it came from a man of God. But why were the US authorities, including the President, powerless to stop him from carrying out his threat? The answer lies in Jones’ right to freedom of speech enshrined in the First Amendment to the US Constitu­tion. The First Amendment is part of the United States Bill of Rights which contains the first 10 sacrosanct amendments to the United States Constitution. 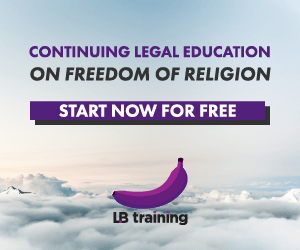 In simple terms, Americans view the First Amendment as the bedrock of their personal freedoms of religion, speech and assembly which are inalienable and inviolable rights. It certainly is inconvenient as speech can also be symbolic, such as the burning of crosses by the Ku Klux Klan and the burning of an American flag by protesters. In the celebrated case of Texas v Johnson (1989), Gregory Johnson was arrested after he poured kerosene over an American flag and set it aflame. He was charged with violating a Texas law prohibiting vandalism of venerated objects. He was convicted but the conviction was overturned upon his appeal to the Supreme Court. Both US Congress and the House of Representatives then denounced the decision. However, when Congress passed a federal law to proscribe flag desecration, the statute was struck down by the Supreme Court for contravening the First Amendment. Well, this is what we call the American constitutional jurisprudence which, to outsiders, may appear to border on absurdity. As some Americans would quip – in case the US government fails to follow the First Amendment, they could turn to the Second Amendment which gives Americans the constitutional right to keep and bear arms! In other words, a person’s right to offend requires another person’s duty to tolerate the intolerant. But there appears to exist an exception to this as propounded by Justice Oliver Wendell Holmes in Schenck v. United States (1919), which is, if the words used are used in such circumstances and are of such a nature as to create a clear and present danger, for example, falsely shouting fire in a theatre when there is no fire and thus causing a panic. So, if Jones had decided to undertake the burning inside a minuscule public library, then I should think he will not be protected by the First Amendment. 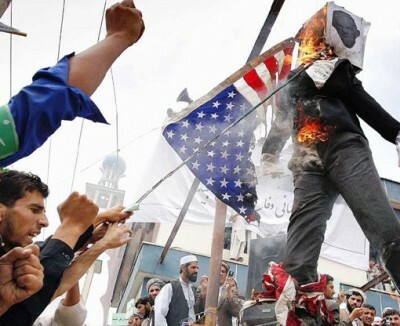 Ironically, it is interesting to note that some Americans who defend Jones’ right to burn the Quran under the First Amendment are, however, against the erection of the controversial Islamic cultural centre near Ground Zero in New York. All these only go to show that the controversies surrounding Jones’ puerile stunt and the “Ground Zero mosque” have divided the American public opinion as to what extent social harmony should be sacrificed for individual autonomy and vice-versa. In Malaysia, social harmony always outweighs individual freedom. Under Article 10 of the Federal Constitution, a Malaysian does not have the equivalent First Amendment right to freedom of speech. Our right to free speech is expressly subject, inter alia, to national security, public order, morality and laws providing against contempt of court, defamation, or incitement to any offence such as the Sedition Act, 1948. The same goes for our right to freedom of religion which is subject to the general law respecting public order, public health or morality. It follows that our Constitution is obviously not based on the United States’ “tolerance for intolerance” approach. This often leads to the misconception held by some that if our laws do not allow an uninhibited or unfettered right to speak and assemble, then such laws are unjust laws which justify acts of civil disobedience. This in turn calls into question a citizen’s fidelity to law and the state’s duty to uphold the rule of law. That said, it has to be acknowledged that the American populace is not as multi-racial and multi-religious like ours. If we adopt a free for all which includes the right to indulge in hate speech or a right to foment and incite hatred and violence, in no time our beloved country will be torn apart. To my mind, the issue is not about our laws being unjust laws, but rather the manner in which the laws are being enforced differently and inconsistently against different persons in similar situations, so much so that certain groups are perceived to enjoy preferential treatment. This is, of course, a perception problem but it is a serious one and one which the new Inspector General of Police, Tan Sri Ismail Omar, must quickly address in order to improve public trust and perception in our enforcement authorities who must always uphold the rule of law without fear and favour. That said, only God will know when our constitutional jurisprudence will reach the First Amendment level of maturity, or if you like to call it, insanity. One thing is for sure, that is, there is no room in this country for religious bigots like Jones. But the other thing which I am not so sure is whether Malaysians in cyberspace are actually already experiencing free speech and expression equipollent to the First Amend­ment! Posted on 19 September 2010. You can follow any responses to this entry through the RSS 2.0.